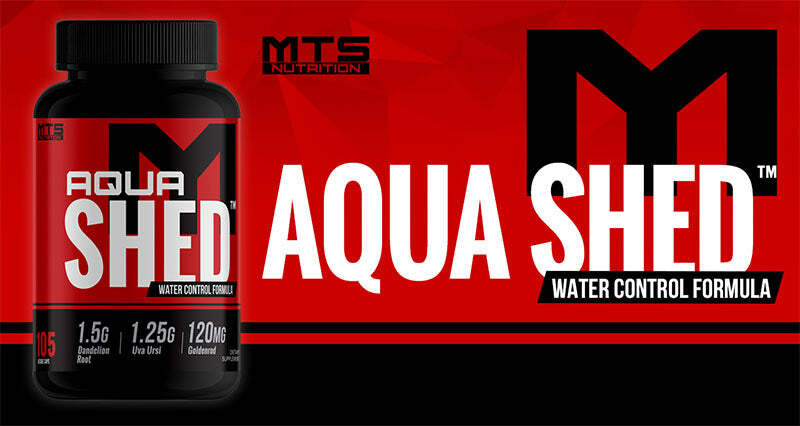 I created Aqua Shed to be the best all-natural diuretic ever created. While taking into account mineral and electrolyte needs when obtaining your best look ever, we supplied ingredients that help you shed the body of excess water but also have a detoxifying effect. If looking your best ever for an event or even a physique competition is your goal, look no further than Aqua Shed. B6 is a helpful vitamin that aids in weight management. When supplementing with Vitamin B6, you are able to not only able to better maintain your lean muscle mass (Rodriguez et al., 2008), but can also help prevent weight gain (Nachtigal et al., 2005). Vitamin B6 has the ability to aid in balancing blood sugar levels in the body which can be especially important for those who are diabetic or pre-diabetic (Soloman et al., 1989). When it comes to water management, Phosphorous does a great job at ensuring the kidneys stay healthy and function optimally (Bourgoignie, 1982). What this allows is the body to better balance water as well as release any waste that may be present in the system by increasing both the frequency as well as the quantity of urination. In addition, Phosphorous is needed for proper brain function and through supplementation, it can help improve mental functioning, memory, and concentration (Smith et al., 1995). When it comes to muscle cramping, potassium can be a savior in both preventing and treatment. Muscle contains high levels of potassium which is vital for functions such as muscle contractions, muscle building, proper pH in the body, nerve impulses, and fluid retention (Demigne et al., 2004). When there is a decrease in water retention (such as with dehydration), cramping can occur. To prevent this, it is wise to increase your Potassium and water intake. Potassium is also required to produce ATP for energy to help fuel your workouts (Erdman et al., 2012). Supplementing with Potassium can provide all-around benefits when it comes to your health and performance and for that reason it’s highly recommended to supplement your nutrition. A very well-known and used diuretic is Dandelion Root Extract. Studies have shown that when supplementing with Dandelion Root Extract, urine output is increased (Clare et al., 2009). This can help pull unwanted water retention out of the body to help uncover muscularity without affecting potassium levels in the muscle. When supplemented with, it can also help detoxify the liver and improve its function (Cai et al., 2017). In addition, Dandelion Root Extract has also been shown to help break down fat to aid in weight loss (Zhang et al., 2008). Uva-Ursi is another known diuretic that can aid in helping rid the body of water retention (Beaux et al., 1999). This is helpful when looking to reduce the layer of water between the skin and muscle to increase muscularity. Uva-Ursi has also been known to help treat and reduce urinary tract infections (Head, 2008). This powerful herb helps eliminate UTIs which normally tend to only go away briefly before returning without an antibiotic. To help with weight management, it is important to control blood sugar levels. This is generally managed by cleaning up your diet. Goldenrod, however, has been shown when supplemented with to potentially help with insulin resistance (Melo et al., 2011). In addition, Goldenrod is sometimes used to help with minor wounds, inflammation, kidney stones, and joint pain (Goldenrod). Juniper Berry is an extremely powerful antioxidant that can help protect the body from free radical damage all the way down to the cellular level. It is also used to promote healthy digestion and aid in detoxifying the body (Yang et al., 2007). Along with the digestion benefits, Juniper Berry is a mild diuretic and can help reduce bloating (Juniper Berry). Additionally, Juniper Berry can help control and reduce blood sugar levels (Sanchez et al., 1994). Buchu Leaf has been around for centuries and has been used by many to treat different ailments such as kidney and bladder problems (such as urinary tract infections). Also, Buchu Leaf has been known as a mild pain reliever. This herbal plant can also help control water balance in the body due to its mild diuretic properties which can aid in flushing out water retention and toxins (Bucha Leaf). Bladderwrack is actually a medicinal seaweed found in the ocean. When it comes to digestion, this brown algae can help with constipation, diarrhea, and gastritis. And due to this seaweed containing iodine, it may also help those who suffer from an iodine deficiency and hypothyroidism. Bladderwrack can additionally aid in speeding up the healing process after injury (Bladderwrack Whole Plant). As a dietary supplement, take five capsules after your morning meal and five capsules after your midday meal 6-8 hours later. Consume 16 ounces of water with each dose. Do not continue use for longer than 3-4 days without a minimum of 7 days off. For a Saturday event, take before show time, starting Wednesday morning and through the day Saturday. 1. Beaux D1, Fleurentin J, Mortier F. “Effect of extracts of Orthosiphon stamineus Benth, Hieracium pilosella L., Sambucus nigra L. and Arctostaphylos uva-ursi (L.) Spreng. in rats.” Phytother Res. 1999. 3. Bourgoignie, J J. “Hormonal Regulation of Phosphorus and Calcium Metabolism at the Kidney Level.” Schweizerische Medizinische Wochenschrift., U.S. National Library of Medicine, 4 Dec. 1982. 10. Head, Kathleen A. “Natural approaches to prevention and treatment of infections of the lower urinary tract.” Alternative Medicine Review 13, no. 3. 2008. 12. Melo, A M, et al. “Solidago Chilensis Meyen Hydroalcoholic Extract Reduces JNK/IκB Pathway Activation and Ameliorates Insulin Resistance in Diet-Induced Obesity Mice.” Experimental Biology and Medicine (Maywood, N.J.)., U.S. National Library of Medicine, Oct. 2011. 17. Solomon, L R, and K Cohen. “Erythrocyte O2 Transport and Metabolism and Effects of Vitamin B6 Therapy in Type II Diabetes Mellitus.” Diabetes., U.S. National Library of Medicine, July 1989.